Until now, Quinn was doing a pretty good job at pretending to be her old self, the calm and brilliant Avery daughter, responsible big sister to Allison and Phoebe, piano virtuoso, girl who makes everyone proud...but without the sanctuary of her room, a new, wild Quinn is emerging. Lying, sneaking out, partying, Quinn is practically asking to get caught. When Quinn adds kissing the wrong boys - including her sister's boyfriend and her own piano teacher - to her list of crimes, has she gone too far to save herself? 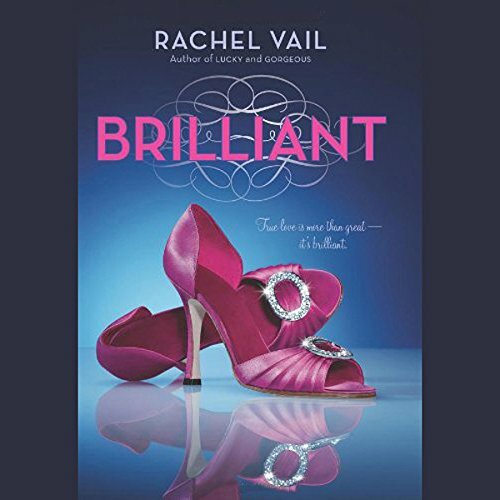 Brilliant, the final book in Rachel Vail's critically acclaimed sisterhood series, which includes Lucky and Gorgeous, follows Quinn through a summer of change as she discovers that while letting go is never easy, hanging on can be even harder. Witty and poignant, Brilliant is the perfect ending to this addictive trilogy of interconnected sister stories. Listen to Lucky and Gorgeous. ©2010 Rachel Vail (P)2010 Audible, Inc.